While admiring a rose blooming in the winter, Queen Eleanor of the kingdom of Tabor pricks her finger on one of its thorns. Three drops of blood fall onto the snow-covered ground, and she wishes for a daughter as white as the snow, with lips as red as the blood, hair as black as a raven's wings and a heart as strong and defiant as the rose. Queen Eleanor gives birth to her daughter, Snow White, but falls ill and dies several years later. After her death, Snow White's father, King Magnus, and his army battle an invading dark army of demonic glass soldiers. Upon rescuing their prisoner Ravenna, the King becomes enchanted with her beauty and marries her. Ravenna is in fact a powerful sorceress and the Dark Army's master. On their wedding night, Ravenna confesses there was a king much like Magnus that hurt her. She declares she cannot be a weak queen and kills Magnus before unleashing her invading army upon the kingdom. Snow White's childhood friend William and his father, Duke Hammond, escape the castle but are unable to rescue her, and she is captured by Ravenna's brother Finn and locked away in the north tower of the castle for many years. Tabor is ruined under Queen Ravenna's rule as she periodically drains the youth from the kingdom's young women in order to maintain a spell, cast over her as a child by her mother, which allows her to keep her youthful beauty. When Snow White comes of age, Ravenna learns from her Magic Mirror that her stepdaughter Snow White is destined to destroy her unless the Queen consumes the young girl's heart, which will make her truly immortal. Queen Ravenna orders Finn to bring her Snow White's heart, but Snow White escapes into the Dark Forest, where Ravenna has no power. Ravenna makes a bargain with Eric the Huntsman, a widower and drunkard, to capture Snow White, promising to bring his wife back to life in exchange. The Huntsman tracks down Snow White, but when Finn reveals that Queen Ravenna does not actually have the power to revive the dead, the Huntsman helps Snow White escape. Meanwhile, Finn gathers another band of men to find her, and the Duke and his son William learn that she is alive. William leaves the castle on his own to find her, joining Finn's band as a bowman. The Huntsman and Snow White leave the Dark Forest, where she saves his life by charming a huge troll that attacks them. They make their way to a fishing village populated by women who have disfigured themselves to make themselves useless to the Queen. While there, the Huntsman learns Snow White's true identity, and initially leaves her in the care of the women. He soon returns when he sees the village being burned down by Finn's men. Snow White and the Huntsman evade them and eventually meet a band of eight dwarves. The blind dwarf Muir perceives that Snow White is the daughter of the former king, and the only person who can defeat Ravenna and end her reign. As they travel through a fairy sanctuary, Snow White encounters a White Hart, but as Snow White approaches the deer, the group is attacked by Finn and his men. A battle ensues during which one of the dwarfs, Gus, and Finn and his men are killed, while William reveals himself. William joins the group which continues the journey to Hammond's castle. Halfway to Duke Hammond's castle, Queen Ravenna disguises herself as William and tempts Snow White into eating a poisoned apple, but is forced to flee when the Huntsman and William discover her. William kisses Snow White, whose body is taken to Hammond's castle. As she lies in repose, the Huntsman professes his regret for not saving Snow White, who reminds him of his late wife, Sara; and he kisses her. The spell broken, Snow White awakens and walks into the courtyard; rallying the Duke's army to mount a siege against Queen Ravenna. The dwarves infiltrate the castle through the sewers and open the gates, allowing the Duke's army inside. Snow White confronts Queen Ravenna, but is overpowered. Queen Ravenna is about to kill Snow White and consume her heart. Eventually, Snow White uses a move the Huntsman taught her and mortally wounds Queen Ravenna, and Duke Hammond's army is victorious. With Queen Ravenna defeated, the kingdom once again enjoys peace and harmony as Snow White is crowned queen. The Dwarfs were played by actors of average height who had their faces digitally transmuted onto small bodies. This caused a protest from the Little People of America. Ian McShane as Beith, the leader of the Dwarves. Bob Hoskins as Muir, the blind elder Dwarf, who possesses the powers of premonition. This was Hoskins's final role before his retirement from acting (and his death) due to Parkinson's disease. Ray Winstone as Gort, an ill-tempered Dwarf. Nick Frost as Nion, Beith's right-hand man. Toby Jones as Coll, Duir's brother. Eddie Marsan as Duir, Coll's brother. Johnny Harris as Quert, Muir's son. Brian Gleeson as Gus, the youngest of the Dwarfs who develops a bond with Snow White and later sacrifices himself to save her. Evan Daugherty initially wrote the screenplay in 2003, when he was studying at NYU. 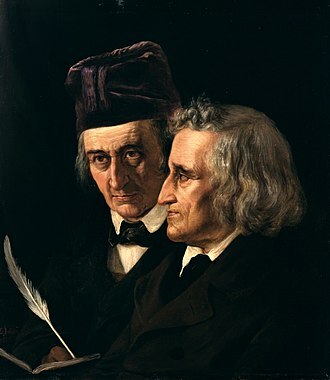 At the time reboots of fairy tales were not a popular film genre and according to Daugherty "no one really knew what to do with it"  More problems came when the release of Terry Gilliam's The Brothers Grimm (2005) flopped at the box office which caused potential buyers to be hesitant about the script. The script was finally greenlit after the success of Tim Burton's Alice in Wonderland (2010). Theron & Stewart at Wondercon 2012 in Anaheim, California on March 2012. Film producers considered casting a lesser-known actress for the role of Snow White, with mention of Riley Keough, Felicity Jones, Bella Heathcote, Alicia Vikander, and Rachel Maxwell as possible picks. This idea became less likely as known actresses Dakota Fanning and Kristen Stewart were later rumored to be short-listed for the role. On March 4, 2011 a series of tweets from co-producer Palak Patel confirmed that Stewart was offered the role. Winona Ryder was initially considered to play Queen Ravenna, before the role went to Charlize Theron. Tom Hardy was supposedly first offered the role of Eric, the Huntsman, but turned down the offer. The role was then apparently offered to Michael Fassbender, and then Johnny Depp, but both claim to have declined it. Viggo Mortensen was said to have been in negotiations with Universal for the part, but supposedly turned down the role, too. It was claimed that Hugh Jackman was offered the role, but that he declined. In 2011, Thor star Chris Hemsworth was eventually cast in the role of the Huntsman. The Dwarfs were played by actors of average height who had their faces digitally superimposed onto small bodies. This caused a protest from the Little People of America. Principal photography took place in the United Kingdom. The beach scenes were predominantly filmed in Pembrokeshire, on the Marloes Sands beach near the village of Marloes between September 26 and 29, 2011. Though the beach was not closed to the public during filming, as filming progressed, certain parts were advised to be off limits. A computer-generated castle was set on nearby Gateholm island. A field above the beach was used for production purposes, and a special wooden ramp was built for vehicles and horses to access the beach. The film used academic consultants from the University of Chichester and the University of Oxford for back-up research on fairy tales and medieval battles. The English band Florence and the Machine recorded "Breath of Life" exclusively for the film, which was reportedly inspired by Theron's character Queen Ravenna. The film had its premiere on May 14, 2012, at the Empire, Leicester Square, in London. The film was released on DVD and Blu-ray in Region 1 on September 11, 2012, with both the theatrical version (127 minutes) and an extended version (132 minutes) available on both formats. The film was released on the same formats in Region 2 on October 1, 2012. 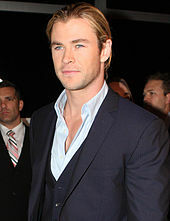 Hemsworth at the Snow White and the Huntsman movie premiere, Sydney in June 2012. 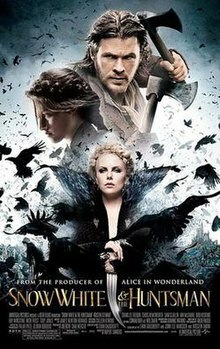 Snow White and the Huntsman earned $155,332,381 in North America, along with $241,260,448 in other territories, for a worldwide total of $396,592,829. In North America, the film earned $1,383,000 from midnight showings. For its opening day, the film topped the box office with $20,468,525. It debuted in first place at the box office during its opening weekend with $56,217,700. It is the seventeenth highest-grossing 2012 film. Outside North America, Snow White and the Huntsman had an opening of $39.3 million, ranking second overall for the weekend behind Men in Black 3; however, it ranked number 1 in 30 countries. Stewart at the Snow White and the Huntsman premiere, Sydney in June 2012. Snow White and the Huntsman received mixed reviews from critics. The film has a 48% score on Rotten Tomatoes based on 221 reviews, with an average rating of 5.6/10. The site's consensus states: "While it offers an appropriately dark take on the fairy tale that inspired it, Snow White & the Huntsman is undone by uneven acting, problematic pacing, and a confused script." On Metacritic, the film has a score of 57 out of 100, based on 39 critics, indicating "mixed or average reviews". CinemaScore polls conducted revealed the average grade that filmgoers gave the film was a "B" on an A+ to F scale. David Edelstein of New York praised the film's revisionist tone and said the film was "strongly influenced by a lot of smart, feminist thinking". Roger Ebert gave the film 3.5 stars out of 4. A.O. Scott of The New York Times praised Theron's performance and also wrote, "Though it is an ambitious – at times mesmerizing – application of the latest cinematic technology, the movie tries to recapture some of the menace of the stories that used to be told to scare children rather than console them." Owen Gleiberman of Entertainment Weekly wrote, "Ravenna hates living in a world where men can feed on women's beauty and then toss them away. She's a fascist of feminism, and Theron's acting has the blood of operatic anger coursing through it." Betsy Sharkey of the Los Angeles Times said the film is, "an absolute wonder to watch and creates a warrior princess for the ages. But what this revisionist fairy tale does not give us is a passionate love – its kisses are as chaste as the snow is white." Rolling Stone's Peter Travers called it "a visual marvel" while noting that Stewart "morphs convincingly from a skittish girl into a determined warrior princess." MSN news said that Stewart "grows into her character, it seems, and eventually got this reviewer completely on her side. Colin Covert of the Minneapolis Star Tribune gave the film 4/4 stars. Peter Bradshaw of The Guardian said that while the film is "less jokey than the recent Mirror Mirror", "this Twilightified fairytale has the same basic problem," and that, "The result is tangled and overblown." Mick LaSalle of the San Francisco Chronicle called it "[a] slow, boring film that has no charm and is highlighted only by a handful of special effects and Charlize Theron's truly evil queen." Michael O'Sullivan of the Washington Post also gave the film a negative review: "Overlong, overcrowded, overstimulating and with an over-the-top performance by Charlize Theron as the evil queen Ravenna, the movie is a virtual orchard of toxic excess, starting with the unnecessarily sprawling cast of characters." Lisa Kennedy of the Denver Post gave the film two out of four stars and said, "Only Bob Hoskins as the blind seer Muir comes close to making us care. We can almost glean Snow White's heroic possibilities through his clouded eyes. As much as we'd like to, we certainly can't from Stewart's efforts." Scott Foundas states that "Stewart’s Snow White... pouts her lips, bats her bedroom eyes, and scarcely seems to have more on her mind than who might take her to the senior prom—let alone the destiny of an entire kingdom." Richard Roeper gave the movie a B+, calling it "Vastly superior to Mirror, Mirror", and praising Theron and Stewart's performances. A sequel was planned, with director Rupert Sanders in talks to return. In August 2012, The Hollywood Reporter reported that the sequel was shelved in the aftermath of the scandal involving Sanders cheating on his wife with Stewart and that a spin-off film concentrating on the Huntsman was planned instead, which would not star Stewart. Universal announced a few days later that they were not shelving the sequel. 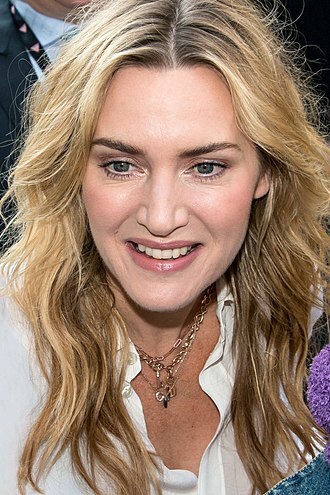 A 2012 report stated that Universal has authorized a sequel and Stewart was set to reprise her role, but without Sanders to return as the director due to the scandal. The script was written and production was set to begin in 2013. The film was originally scheduled for release in 2015. In September 2013, Chris Hemsworth stated he did not know anything about the sequel while speaking to E!. On June 4, 2014, Deadline reported that Frank Darabont, Gavin O'Connor and Andrés Muschietti were on the shortlist to direct the sequel. On June 26, 2014, Deadline reported that Darabont was in talks to direct the sequel. Metro-Goldwyn-Mayer and Legendary Pictures were set to co-finance the film with Universal but dropped out and were replaced by Perfect World Pictures. On July 31, 2014, the project was described as a prequel titled The Huntsman scheduled for April 22, 2016, which would not star Stewart as Snow White. In January 2015, Darabont left the project as director, but the third leading role was set with Emily Blunt. It was later announced that Cedric Nicolas-Troyan would take over as the new director for the film. Nick Frost would return as Dwarf Nion and Jessica Chastain would star. On March 18, 2015, Rob Brydon, Alexandra Roach and Sheridan Smith were added to the cast as dwarves. TheWrap confirmed on May 7, 2015, that Sam Claflin would return as William in this sequel. It was later revealed that the film would feature Ravenna's sister, the Ice Queen, and would reveal the origins of the Huntsman, while also continuing the story of the first film. Mirror Mirror, another 2012 film based on the tale of Snow White, starring Lily Collins as Snow White and Julia Roberts as the Queen Clementianna, Snow White's evil stepmother. ^ "SNOW WHITE AND THE HUNTSMAN (12A)". British Board of Film Classification. May 11, 2012. Retrieved March 23, 2016. ^ "Snow White and the Huntsman". European Audiovisual Observatory. Retrieved May 7, 2017. ^ "Snow White and the Huntsman". AFI. ^ Masters, Kim (May 23, 2012). "Battleship Fallout: Lessons From a Box Office Sinking". The Hollywood Reporter. Archived from the original on January 28, 2013. Retrieved May 23, 2012. ^ a b "Snow White and the Huntsman (2012)". Box Office Mojo. Amazon.com. Archived from the original on January 30, 2013. Retrieved September 13, 2012. ^ "We are pleased to confirm the Snow White and the Huntsman cast will be Kristen Stewart, Charlize Theron, Chris Hemsworth and Sam Claflin". Twitter. Retrieved July 25, 2011. ^ Guy Adams (June 7, 2012). 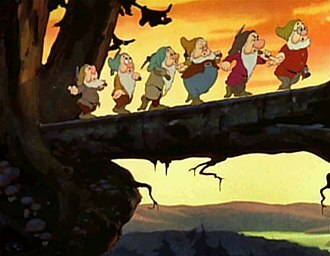 "Dwarfs threaten '100-midget march' over Snow White and the Huntsman film". The Independent (UK. Archived from the original on June 10, 2012. Retrieved June 16, 2012. ^ Fischer, Russ (July 13, 2011). "Nick Frost is the Final Dwarf in 'Snow White and the Huntsman'". /Film. Archived from the original on June 14, 2012. Retrieved July 25, 2011. ^ "Kristen Stewart: 'Snow White And The Huntsman' Casting Talks". The Huffington. Archived from the original on February 29, 2012. Retrieved July 25, 2011. ^ "Kristen is Officially Playing 'Snow White'". BlogSpot.com. March 2011. Archived from the original on July 28, 2012. Retrieved July 25, 2011. ^ Sterling Wong (February 8, 2011). "'Snow White' Lands Julia Roberts As Evil Queen, So How Does She Stack Up Against Charlize Theron?". MoviesBlog.MTV.com. Archived from the original on October 17, 2012. Retrieved July 25, 2011. ^ "Movie Review: Snow White and the Huntsman". ourmidland.com. Retrieved March 27, 2018. ^ Jeff Sneider. "Exclusive: Johnny Depp Offered a Date With 'Snow White'". The Wrap. Archived from the original on January 21, 2014. Retrieved June 7, 2012. ^ Labrecque, Jeff (March 26, 2011). "Viggo Mortensen dumps Snow White ... for Superman?". Entertainment Weekly. Archived from the original on October 19, 2013. Retrieved March 28, 2011. ^ Sara Vilkomerson (April 13, 2011). "Hugh Jackman no longer in talks for 'Snow White'". InsideMovies.EW.com. Archived from the original on December 20, 2013. Retrieved April 14, 2011. ^ "IMDb entry with Chris Hemsworth as Huntsman". Deadline.com. Archived from the original on December 21, 2013. Retrieved July 25, 2011. ^ Thomas, Holly; Watkins, Jade; McCormack, Kirsty (November 10, 2011). "Kristen Stewart looks all worked out as she continues to film Snow White And The Huntsman". Daily Mail. London. Mail Online. Archived from the original on November 13, 2011. Retrieved November 11, 2011. ^ McDowell, Martin (September 21, 2011). "Filming Snow White and the Huntsman at Marloes Sands". Archived from the original on January 28, 2012. Retrieved May 14, 2012. ^ Nick Clark (March 20, 2012). "Philip Pullman to publish new adaptations of Grimm's Fairy Tales". The Independent. London. Archived from the original on March 22, 2014. Retrieved June 20, 2012. ^ "Florence And The Machine debut new song 'Breath Of Life' – listen". NME. IPC Media. April 26, 2012. Archived from the original on September 28, 2013. Retrieved April 28, 2012. ^ Bell, Crystal (April 26, 2012). "Florence And The Machine, 'Breath Of Life': Singer Releases New 'Snow White And The Huntsman' Track". The Huffington Post. Archived from the original on October 3, 2013. Retrieved April 28, 2012. ^ "Watch Snow White and the Huntsman world première LIVE on MailOnline". Daily Mail. London. Mail Online. May 14, 2012. ^ Hertzfeld, Laura (July 24, 2012). "'Snow White and the Huntsman': Watch an exclusive clip from the upcoming DVD/Blu-ray release -- VIDEO". Entertainment Weekly. Archived from the original on October 13, 2013. Retrieved April 20, 2013. ^ "Snow White and the Huntsman [DVD] ". Amazon.com. Archived from the original on June 7, 2013. Retrieved April 20, 2013. ^ Subers, Ray (May 31, 2012). "Forecast: 'Snow White' Goes to War This Weekend". Box Office Mojo. Archived from the original on December 27, 2013. Retrieved June 2, 2012. ^ Subers, Ray (June 2, 2012). "Friday Report: 'Snow White' Conquers the Box Office". Box Office Mojo. Archived from the original on October 30, 2013. Retrieved April 20, 2013. ^ Subers, Ray (June 3, 2012). "Weekend Report: 'Snow White' Takes Big Bite Out of Box Office Apple". Box Office Mojo. Archived from the original on October 30, 2013. Retrieved June 4, 2012. ^ "2012 Yearly Box Office Results - Box Office Mojo". boxofficemojo.com. Retrieved March 27, 2018. ^ "'Snow White and the Huntsman' takes $20.3M bite of Friday box-office apple, eyes $55M weekend". Chicago Tribune. June 2, 2012. Retrieved June 2, 2012. ^ "Snow White and the Huntsman". Rotten Tomatoes. Archived from the original on February 14, 2014. Retrieved June 20, 2012. ^ Young, John (June 2, 2012). "Box office update: 'Snow White and the Huntsman' leads with $20.3 mil on Friday; 'The Avengers' becomes third biggest movie of all time". Entertainment Weekly. Archived from the original on February 22, 2014. Retrieved June 2, 2012. ^ Edelstein, David. "Grim and Grimmer". New York Magazine. Archived from the original on January 12, 2014. Retrieved May 30, 2012. ^ "Snow White and the Huntsman (PG13) Review". Roger Ebert.com. May 30, 2012. Archived from the original on January 12, 2014. Retrieved June 2, 2012. ^ Scott, A. O. (May 31, 2012). "Movie Review The Darker Side of the Story 'Snow White and the Huntsman,' With Kristen Stewart". The New York Times. Retrieved June 2, 2012. ^ Gleiberman, Owen (June 1, 2012). "Movie Review: Snow White and the Huntsman". Entertainment Weekly. Archived from the original on January 12, 2014. Retrieved July 20, 2012. ^ Sharkey, Betsy (June 1, 2012). "Movie review: Forget fair, 'Snow White and the Huntsman' is fierce". Los Angeles Times. Archived from the original on January 12, 2014. Retrieved June 2, 2012. ^ Travers, Peter (May 31, 2012). "Snow White and the Huntsman | Movie Reviews". Rolling Stone. Archived from the original on April 7, 2014. Retrieved April 20, 2013. ^ Kenny, Glenn. "'Snow White' Saved by Dwarves". MSN Movies. Archived from the original on January 13, 2014. Retrieved April 20, 2013. ^ Covert, Colin (June 1, 2012). "Folk tale meets fabulous blockbuster in 'Snow White'". Star Tribune. Archived from the original on January 12, 2014. Retrieved April 20, 2013. ^ Bradshaw, Peter (May 31, 2012). "Snow White and the Huntsman – review". The Guardian. London. Archived from the original on April 27, 2014. Retrieved June 2, 2012. ^ Mick LaSalle (June 1, 2012). "'Snow White and the Huntsman' review: Dwarfed". San Francisco Chronicle. Archived from the original on April 27, 2014. Retrieved June 2, 2012. ^ "Snow White and the Huntsman Review". The Washington Post. June 1, 2012. Retrieved June 2, 2012. ^ Kennedy, Lisa (June 1, 2012). "Movie review: Something awry in serious "Snow White and the Huntsman" Grimm fairy tale remake". Denver Post. Archived from the original on April 27, 2014. Retrieved June 4, 2012. ^ "Foundas on Film: "Snow White and the Huntsman" & "Hemingway & Gellhorn" - Film Comment". filmcomment.com. June 2, 2012. Retrieved March 27, 2018. ^ Fleming Jr, Mike (June 7, 2012). "Universal Gets Rolling On 'Snow White And The Huntsman' Sequel". Deadline.com. Retrieved September 22, 2018. ^ Malec, Brett; Malkin, Marc (September 9, 2013). "Chris Hemsworth Talks "Awkward" Naked Movie Scenes, Snow White Sequel With Kristen Stewart". E!. Archived from the original on September 17, 2013. Retrieved September 10, 2013. ^ "Universal's Snow White Prequel 'Huntsman' Targets April 2016 Release". Deadline Hollywood. July 31, 2014. Archived from the original on August 5, 2014. Retrieved August 1, 2014. ^ "The Huntsman Loses Frank Darabont but Keeps its Release Date for Now". Deadline Hollywood. July 31, 2014. Retrieved August 1, 2014. ^ "Frank Darabont Exits 'The Huntsman'". Deadline Hollywood. January 20, 2015. Retrieved January 20, 2015. ^ "HOT SCOOP: We May Know Frank Darabont's Replacement Director For THE HUNTSMAN!". Schomoes Know. January 20, 2015. Retrieved January 20, 2015. ^ "The Huntsman Gains More Star Power with Jessica Chastain and Emily Blunt". Dread Central. January 20, 2015. Retrieved January 20, 2015. ^ "Universal Finds Dwarfs for 'Huntsman' Spinoff". Samuel George Sam Claflin is an English actor. He is known for portraying Finnick Odair in the The Hunger Games film series, Philip Swift in Pirates of the Caribbean, On Stranger Tides and Will Traynor in Me Before You. Sam Claflin was born in Ipswich, the third of four sons of Mark, an officer, and Sue Claflin. He has two brothers and Daniel, and a younger brother, who is an actor. He grew up in Norwich, Norfolk, as a child, he had an interest in football. He played throughout his childhood until he broke his ankle, an injury that he felt would prevent him from playing professionally, after some persuasion from his parents and a teacher with whom hed made an impression during his high school play at Costessey High School, he pursued acting. He was a member of the Norwich City School of Excellence, in 2003, he took up Performing Arts at Norwich City College, before going on to attend the London Academy of Music and Dramatic Art, from which he graduated in 2009. Claflin made his debut in 2010, when he appeared on the television miniseries The Pillars of the Earth as Richard. In March 2011, he was cast as Thomas in The Seventh Son, a adaptation of The Spooks Apprentice. 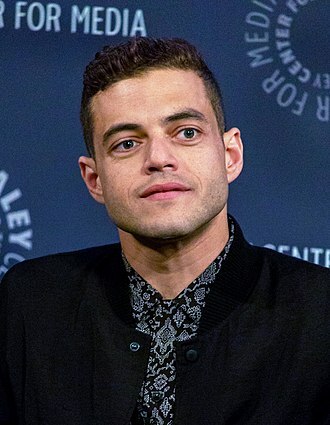 For the film, he received a nomination in the 17th Empire Awards for Best Male Newcomer, in 2012, he appeared as Jack in the 6-episode series White Heat. Later that year, he played a role in the 2012 film Snow White. He received a nomination in the 2012 Teen Choice Awards for the category Best Movie Breakout, in 2012, he was cast in the lead role in Hammer Films The Quiet Ones, which was filmed in mid-2013 and was released in April 2014. On 22 August 2012, Lionsgate announced that Claflin had been cast as Finnick Odair in The Hunger Games film series, starting with The Hunger Games, director of Catching Fire, Francis Lawrence, stated of Claflins performance during filming, Finnicks an interesting character. At first he feels like a bit of a flirt and theres a bit of sexual tension. Its one of the reasons I really hired him in the first place was that its where his character goes in the couple of stories. The Magic Mirror is a mystical object that is featured in the story of Snow White. The Magic Mirror is owned by the Evil Queen and has been depicted in different versions as either a mirror or a mirror on the wall. Every morning, the Evil Queen asked the Magic Mirror the question Magic mirror in my hand, the mirror always replies, My Queen, you are the fairest in the land. The Queen is always pleased with that, because the magic mirror never lies, but Snow White is a thousand times more beautiful than you. This resulted in the Evil Queen enlisting a huntsman to kill Snow White and bring her Snow Whites lungs, the mirror replies, My Queen, you are the fairest here so true. But Snow White beyond the mountains at the seven Dwarfs is a thousand times more beautiful than you and this caused the Evil Queen to disguise herself as different women to kill Snow White. But the young Queen is a thousand times fairer than you, the Evil Queen learned too late at the wedding that the young queen in question was Snow White which eventually leads to the Queens death which varied per version. After the death of Maria Sophias birth mother in 1738, her father Philipp Christoph von und zu Erthal remarried, Claudia Elisabeth von Reichenstein, the stepmother, was domineering and greatly favored the children from her first marriage. The Queens iconic mirror, referred to as “The Talking Mirror, ” can still be viewed today at Spessart Museum in the Lohr Castle, the mirror was likely a gift from Philipp Christoph to Claudia Elisabeth. It was a product of the Lohr Mirror Manufacture, the mirror “talked” predominantly in aphorisms. 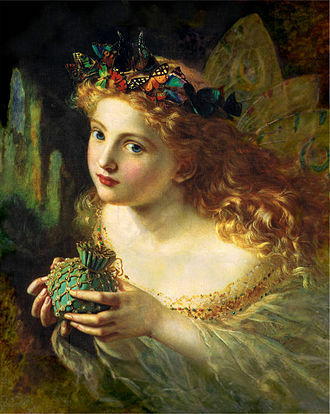 The upper right corner of “The Talking Mirror” contains a reference to self-love. Moreover, mirrors from Lohr were so worked that they were accorded the reputation of “always speaking the truth”. They became a favorite gift at European crown and aristocratic courts, the Magic Mirror appeared in Disneys Snow White and the Seven Dwarfs voiced by Moroni Olsen. The Magic Mirror contained an imprisoned spirit who is referred to as the Slave in the Magic Mirror, in his first appearance in the film, the Evil Queen would consult with the Magic Mirror to ask who the fairest of one all was. James Newton Howard is an American composer, music producer and musician. He has scored over 100 films and is the recipient of a Grammy Award, Emmy Award, and eight Academy Award nominations. He has collaborated with directors M. Night Shyamalan, having scored nine of his films since The Sixth Sense, James Newton Howard was born in Los Angeles. He came from a family, his grandmother was the Pittsburgh Symphonys concertmaster. Howard began studying music as a child, taking piano lessons at the age of four. He went on to attend the Thacher School in Ojai, after Howard left college, he joined a short-lived rock band, worked for a couple of years as a session musician with artists including Diana Ross, Ringo Starr, and Harry Nilsson. In the early 70s, he described himself as being dirt poor and he joined Eltons band and toured with them as keyboardist during the late 70s and early 80s. He was part of the band that played Central Park, New York, in 1982, Howard was featured on Toto IV as the strings conductor and orchestrator for I Wont Hold You Back, Afraid of Love, and Lovers in the Night. A year later, he released the live album James Newton Howard and Friends, which featured Totos David Paich, Steve Porcaro, Jeff Porcaro, in 1983, Howard was co-producer and orchestrator of Riccardo Cocciantes album Sincerità. After briefly touring with Crosby and Nash, he took an opportunity brought to him by his manager to write a score for a small-time movie. This career move would lead to his becoming a film music composer. He conducted both his own and Paul Buckmasters arrangements during the half of the set, which focused on orchestrated performances of selected songs from the Elton John catalog. When delving into his history, twenty-five years after the death of his father. He became a practicing Reconstructionist Jew, Howard scored the surprise blockbuster romantic comedy Pretty Woman and received his first Academy Award nomination for his score for Barbra Streisands drama The Prince of Tides. Night Shyamalans The Village, and Michael Clayton, in addition, Howard scored the Western epic Wyatt Earp, Kevin Costners Waterworld, and Primal Fear. Toby Edward Heslewood Jones is an English actor. After appearing in supporting roles in films between 1992 and 2005, Jones made his breakthrough as Truman Capote in the biopic Infamous and he provided the voice of Dobby in the Harry Potter films, and Aristides Silk in The Adventures of Tintin. Jones television credits include the 2012 Titanic miniseries, Agent Carter, Wayward Pines and he was nominated for a Golden Globe Award for Best Actor – Miniseries or Television Film for his role as Alfred Hitchcock in The Girl. In 2017, he portrayed Culverton Smith in The Lying Detective, Jones was born in Hammersmith, the son of actors Jennifer and Freddie Jones. He has two brothers, Rupert, a director, and Casper, an actor and he attended Christ Church Cathedral School and Abingdon School in Oxfordshire in the 1980s. He studied drama at the University of Manchester from 1986 to 1989, Jones has appeared in more than 20 films since his first acting role in the 1992 film Orlando. He voiced Dobby in two Harry Potter films, Chamber of Secrets and The Deathly Hallows – Part 1 and he played Robert Cecil, 1st Earl of Salisbury in the HBO/Channel 4 production Elizabeth I. In 2006, he portrayed Truman Capote in the biopic Infamous and he appeared in the film adaptation of Stephen Kings The Mist in 2007. In 2008, he portrayed Karl Rove in Oliver Stones W and he appeared alongside his father in the 2004 film Ladies in Lavender. Jones appeared in the 2010 episode Amys Choice, of Doctor Who, as the Dream Lord and he played the role of Samuel Ratchett in Agatha Christies Poirot TV Series 12 episode Murder on the Orient Express. In 2012, he had a role in the ITV mini-series Titanic, starred as one of the seven dwarves in Snow White and the Huntsman, played Dr. Paul Shackleton in Red Lights. He appears in the video for Gomezs song Whippin Picadilly. He played Neil Baldwin in the BBC drama Marvellous in 2014, sam Wollaston, in The Guardian, praised Joness lovely, very human, one that earned him his second British Academy Television Award nomination. In 2014, he appeared in the BBC Four television series Detectorists. In 2015, Jones played the part of Roger Yount, a banker, discussing working with Jones on Capital, writer Peter Bowker said, I think Toby is a genius and thought that long before I worked with him. Hart is an archaic word for stag. Specifically, hart was used in times to describe a red deer stag more than five years old. To be a hart was its fully mature state, a lord would want to hunt not just any deer, but a mature stag in good condition, partly for the extra meat and fat it would carry, but for prestige. Hence a hart could be designated a hart of grease, a hart of ten, a stag which was old enough to be hunted was called a warrantable stag. The huntsman would back to his lord and the hunting party would come bringing a pack of raches. These scent hounds would unharbour the hart and chase it on its hot scent until it was brought to bay, the word hart is not now widely used, but Shakespeare makes several references, punning on the homophones hart and heart. 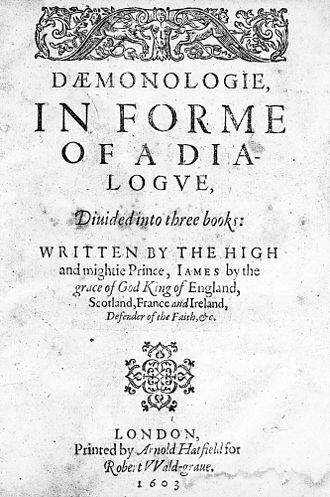 The word is used several times in The Hobbit by J. R. R. Tolkien, when Bilbo Baggins and company pass through Mirkwood Forest and it is alluded to in the Joss Whedon series Angel, the Senior Partners of law firm Wolfram & Hart are represented, respectively by the Wolf, the Ram and the Hart. Ian David McShane is an English actor and voice artist. He is known for his roles, particularly the title role in Lovejoy, Al Swearengen in Deadwood, Blackbeard in Pirates of the Caribbean, On Stranger Tides. He is set to portray Mr. Wednesday in the upcoming Starz series American Gods, McShane was born in Blackburn, the son of Irene and Scottish footballer Harry McShane. His father was Scottish and his mother, who was born in England, was of Irish and English descent, McShane grew up in Davyhulme and attended Stretford Grammar School. He studied at the Royal Academy of Dramatic Art and was still a student there when he appeared in his first film, 1962s The Wild, McShane was a member of the National Youth Theatre. In the United Kingdom, McShanes best known role may be antiques dealer Lovejoy in the series of the same name and he enjoyed fame in the United States as British film director Don Lockwood in Dallas and as a British cockfighting aficionado in Roots. He was nominated for at the 2005 Emmy Award and Screen Actors Guild Awards, within the science fiction community, McShane is best known for playing the character Dr Robert Bryson in Babylon 5, The River of Souls. In 1985, he appeared as an iconic MC on Grace Jones Slave to the Rhythm, an album which featured his narration interspersed throughout. Other recent roles include Captain Hook in Shrek the Third, Iofur Raknison in The Golden Compass, Tai Lung in Kung Fu Panda, in live-action, he has performed in Hot Rod, the action/thriller Death Race, and The Seeker. He has appeared in The West Wing as a Russian diplomat, in 2009, McShane appeared in Kings, which was based on the biblical story of David. 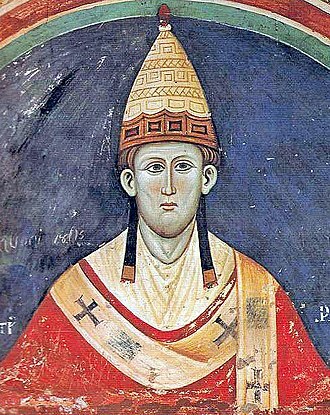 His portrayal of King Silas Benjamin, an analogue of King Saul, was praised, with one critic saying, Whenever Kings seems to falter. In 2010, McShane starred in The Pillars of the Earth as Bishop Waleran Bigod, the series was a historical drama set in 12th century England and adapted from Ken Folletts novel of the same name. Also in 2010, the Walt Disney Company confirmed that McShane would portray Blackbeard in the installment of the Pirates of the Caribbean franchise. In 2013, McShane played King Brahmwell in Bryan Singers Jack the Giant Slayer, since 2010, McShane has narrated the opening teases for each round of ESPNs coverage of The Open Championship. The ceremony was the first in the Academys 85-year history to adopt the phrase The Oscars as the ceremonys official name during the broadcast and marketing. During the ceremony, the Academy of Motion Picture Arts and Sciences presented Academy Awards in 24 categories, the ceremony was televised in the United States by ABC, and produced by Craig Zadan and Neil Meron and directed by Don Mischer. Actor Seth MacFarlane hosted the show for the first time, in related events, the Academy held its 4th annual Governors Awards ceremony at the Grand Ballroom of the Hollywood and Highland Center on December 1,2012. On February 9,2013, in a ceremony at The Beverly Hills Hotel in Beverly Hills, Life of Pi won four awards including Best Director for Ang Lee. Argo won three awards, including Best Picture, the film to win an Academy Award for Best Picture without its director nominated. The telecast garnered more than 40 million viewers in the United States, the nominees for the 85th Academy Awards were announced on January 10,2013, at 5,38 a. m.
PST at the Samuel Goldwyn Theater in Beverly Hills, California, by Seth MacFarlane, host of the ceremony, Lincoln received the most nominations with twelve total, and Life of Pi came in second with eleven. The winners were announced during the ceremony on February 24,2013. Argo was the film to win Best Picture without a directing nomination, following 1927s Wings, 1932s Grand Hotel. As co-producer of Argo, George Clooney became the individual to win Oscars for both acting and producing. He was the first singer nominee and the first to host the show solo, silver Linings Playbook was the fourteenth film to earn nominations in all four acting categories, and the first since Reds in 1981. At age 22, Best Actress winner Jennifer Lawrence became the second-youngest winner in that category, with his third win for Best Lead Actor, Daniel Day-Lewis became the first three-time winner in that category. 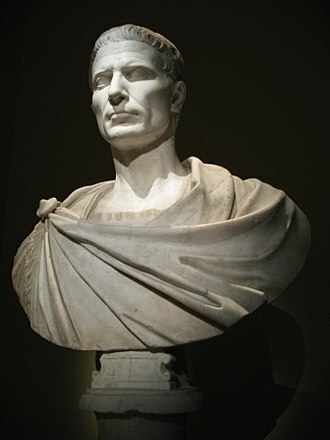 He was the performer to win at least three acting Oscars. Amour was the fourth film nominated simultaneously for Best Picture and Best Foreign Language Film in the same year, at age nine, Quvenzhané Wallis became the youngest nominee for Best Actress and the youngest female acting nominee overall. Charlize Theron is a South African and American actress and film producer. Theron became a U. S. citizen in 2007, while retaining her South African citizenship, in the late 2000s, she moved into the field of producing, both in television and film. In 2006, she produced the documentary East of Havana and she had producing credits on the films The Burning Plain and Dark Places, both of which she starred in. In 2012, she played Queen Ravenna in Snow White and the Huntsman and Meredith Vickers in Prometheus and she reprised her role of Queen Ravenna in the 2016 follow-up film The Huntsman, Winters War. In 2016, Time Magazine named her in the annual Time 100 most influential people list, Theron was born in Benoni, in the then-Transvaal Province of South Africa, the only child of Gerda Jacoba Aletta and Charles Jacobus Theron. Second Boer War figure Danie Theron was her great-great-uncle and she is from an Afrikaner family, and her ancestry includes Dutch, as well as French and German, her French forebears were early Huguenot settlers in South Africa. Theron is an Occitan surname pronounced in Afrikaans as and she grew up on her parents farm in Benoni, near Johannesburg. On 21 June 1991, Therons father, an alcoholic, physically attacked her mother, the shooting was legally adjudged to have been self-defence, and so her mother faced no charges. Theron attended Putfontein Primary School, a period during which she has said she was not fitting in, at thirteen, Theron was sent to boarding school and began her studies at the National School of the Arts in Johannesburg. Although Theron is fluent in English, her first language is Afrikaans, although seeing herself as a dancer, Theron at 16 won a one-year modelling contract at a local competition in Salerno and with her mother moved to Milan, Italy. After Theron spent a year modelling throughout Europe and her mother moved to the US, in New York, she attended the Joffrey Ballet School, where she trained as a ballet dancer until a knee injury closed this career path. As Theron recalled in 2008, I went to New York for three days to model, and I spent a winter in New York in a windowless basement apartment. Six of the seven Disney dwarfs (left to right: Sneezy, Bashful, Sleepy, Happy, Grumpy, Doc), walking on a log and singing "Heigh-Ho". 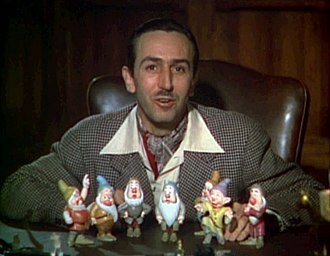 Walt Disney introducing the dwarfs in the trailer. The Evil Queen with her Mirror at Mickey's Boo-to-You Halloween Parade 2016.